RPNA attorneys are consistently recognized by their peers and industry groups for their skill as trial lawyers, integrity, expertise, leadership, influence on legislation and policy, and service to the community. Drew Pomerance was named one of the “Top Labor & Employment Lawyers” in California by the Daily Journal. He was selected among hundreds of nominations for the broad impact of his work on the legal community, the nation and society. Among key considerations for this special recognition was his successful litigation of the landmark rest break case, Augustus v. ABM, (2016) 2 Cal.5th 257, and the $110 million settlement that stemmed from this precedent-setting Supreme Court decision. Roxborough, Pomerance, Nye and Adreani have consistently been named “Southern California Super Lawyers,” an honor bestowed on the top 5% of attorneys in Southern California by the honorees fellow attorneys. 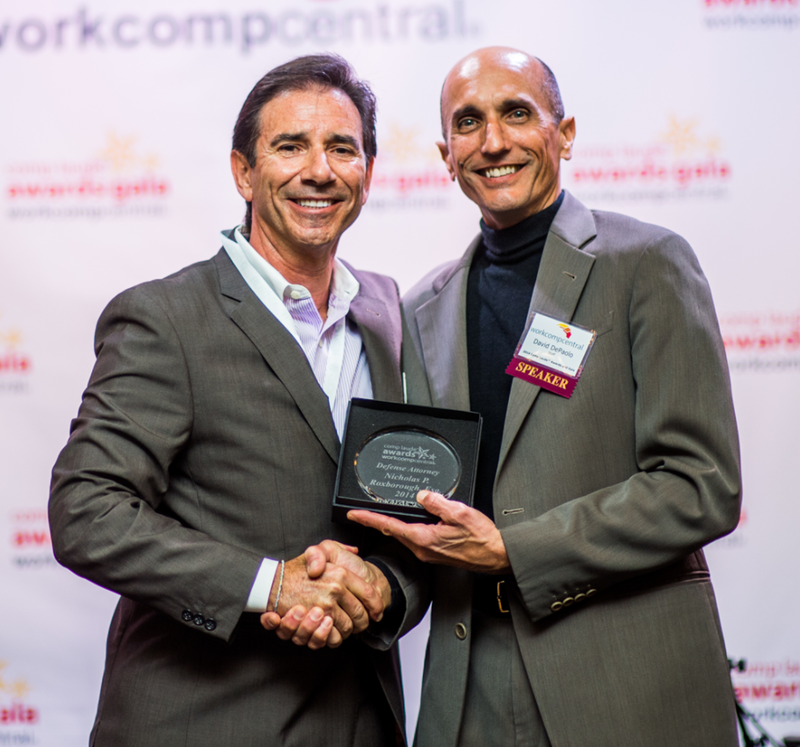 Roxborough was named Defense Attorney of the Year by WorkCompCentral for his outstanding years of service, integrity, superior understanding of the workers’ comp system, and leadership in achieving results towards improving the workers’ comp industry in California. He was selected among the top defense attorneys in California; more than 90 nominees and 5 finalists were considered in his category. Drew Pomerance is an elected member of the American Board of Trial Advocates (ABOTA), a national organization recognizing only the most experienced and successful trial lawyers and was named one of the “Top 25 Lawyers in the San Fernando Valley” by the San Fernando Valley Business Journal. Nick Roxborough, Drew Pomerance and Burton Falk all received a “5 out of 5″ AV® Preeminent™ overall peer rating by Martindale Hubbell, one of the most prestigious legal organizations in the country. 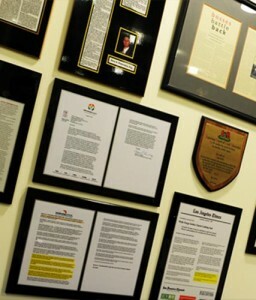 The Martindale Hubbell® Peer Review Ratings™ are an objective indicator of a lawyer’s high ethical standards and professional ability, generated from evaluations of lawyers by other members of the bar and the judiciary in the United States and Canada. Nick Roxborough received the JFK Award from the Los Angeles County Democratic Party for outstanding service to the party and to the community at large.